It gets the best of us most of the time. As for me, it’s pretty much all of the time. The Cleaner | Sewing room must be tidy before any quilting can get done! 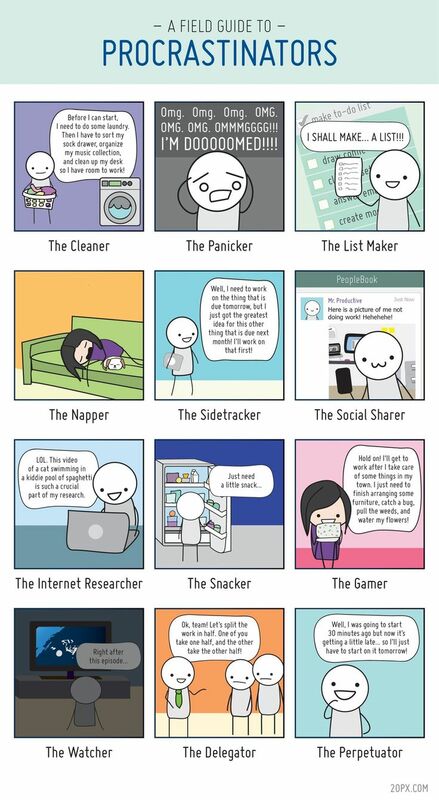 The Listmaker | I must do this, this and this before I can sit and quilt so I don’t feel guilty. The Sidetracker| See last week’s WIP Weekly Update post – something about a Quilt Show entry that needed to be started but isn’t due for another five months!! The Snacker | Who doesn’t love a good snack when you’re purposely avoiding doing something? The Watcher | I randomly started watching season nine of ER this week… Boy that show is good!! It’s a strange and amazing thing at what I’ll let myself do and tell myself to do just to put off doing some quilting. Please don’t misunderstand: It’s not that I don’t like quilting a quilt; heck I love it to bits! 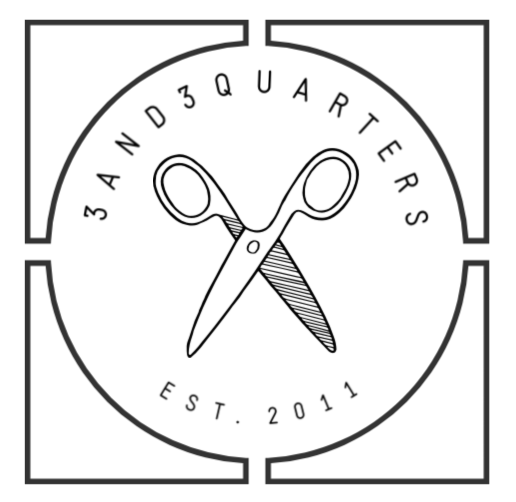 It’s just the initial getting started – the motivation, the time, the mindset, the energy and the heat (quilting a quilt in the middle of an Australian Summer bites!). So that’s my excuse this week for not doing any work on my WIPs. I promise to do better over this coming week! Goodness — that comic is absolutely perfect! I may need to print it and laminate it and put it on my desk at school. And maybe another copy for the studio. And maybe a copy for my friend Stacy. And Josie. And Kallie. It is quite good huh?! I can relate to each one in some way or another. Please try to stay cool, I understand it is really hot there. It is hard to be ambitious when it is hot. You’re very, very right – it is hard to be ambitious when it’s hot and humid!